We've had a month of food-allergy friendly birthday celebrations for our Little Guy who just turned 5. It's amazing how one birthday can turn into three celebrations! 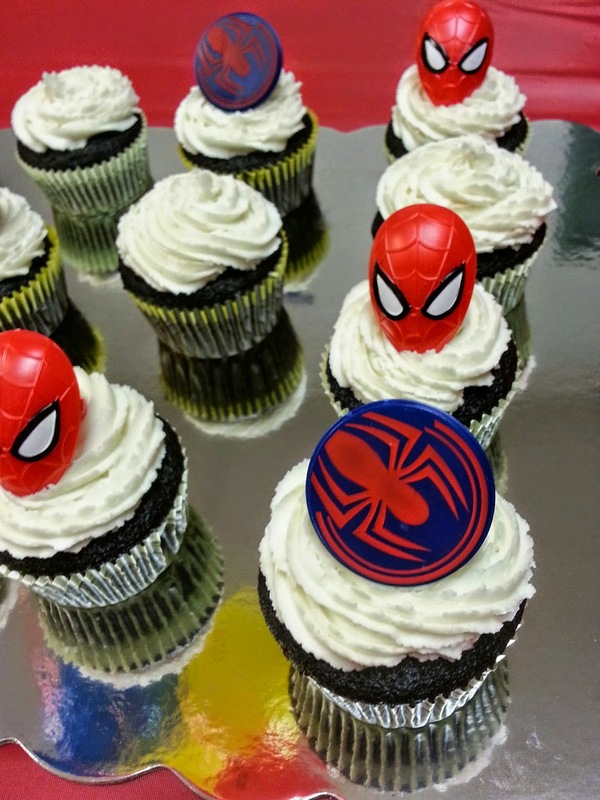 A family party, treats for friends at school on his actual birthday, and a kid birthday party (mainly his school class!). Now that's a lot of cooking for this food allergy Mom. Even though I've only been in the world of food allergies for 5 years now (I know some Moms who have been at it much longer! 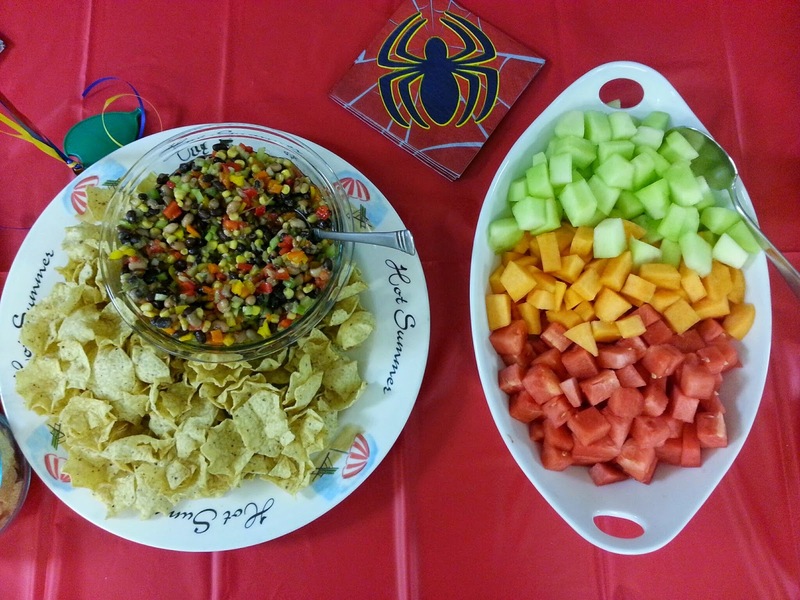 ), I feel like I could share some food allergy friendly birthday party suggestions. We scheduled Little Guy's recent party at 3pm. One hour of play time and then time to sit down for for snacks and cake at 4pm. I even went so far to mention on the school party invitation that "cupcakes and snacks" will be served, just to let everyone know! 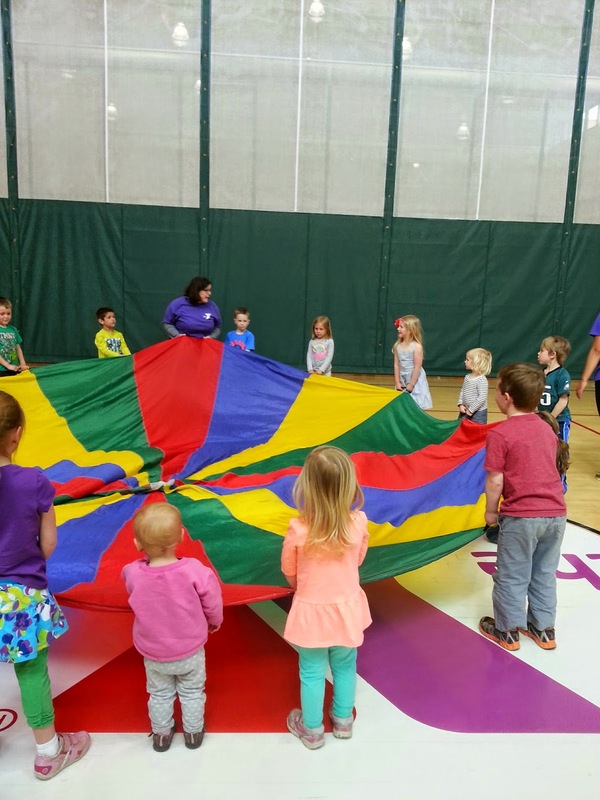 The kids enjoyed the play/sports time so much, that the rest of the birthday party time was just "icing on the cake" (allergy-free cake of course). If you deal with multiple food allergies (we deal with nuts, milk, egg and sesame), you're going to be doing all the cooking. There's nowhere I can order safe pre-made food for a big birthday party event like this. I would love to order a cake and pizza and call it a day, but that's not possible. 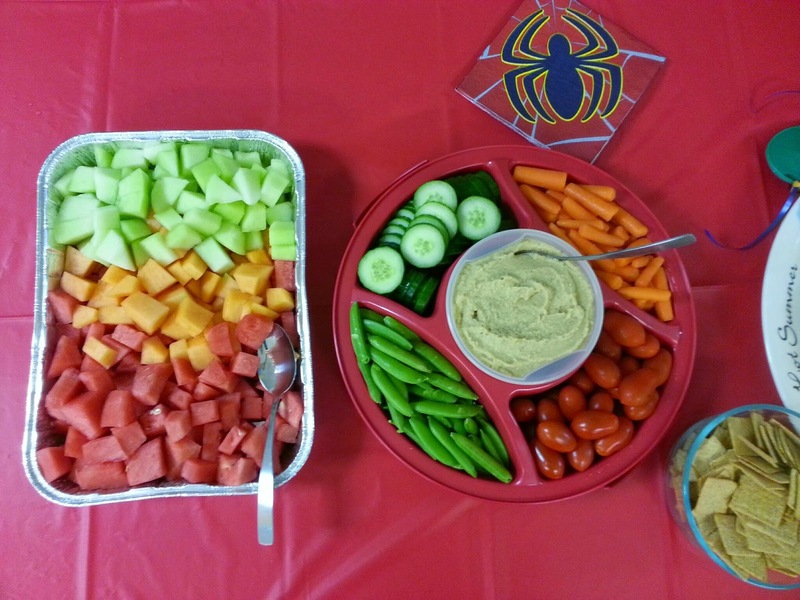 Healthy and food allergy friendly snacks! I cut up a huge watermelon and some honeydew melon and cantaloupe for fruit, cowboy caviar (bean dip) with tortilla chips (thanks to MY mom for making it! ), and sesame free hummus. We also had Wheat Things, Rold Gold pretzels and Twizzlers for other snacks. Dairy free and egg free cupcakes. Although I've made cakes in the past, I try to make cupcakes more often as I find them less stressful and easier to decorate. 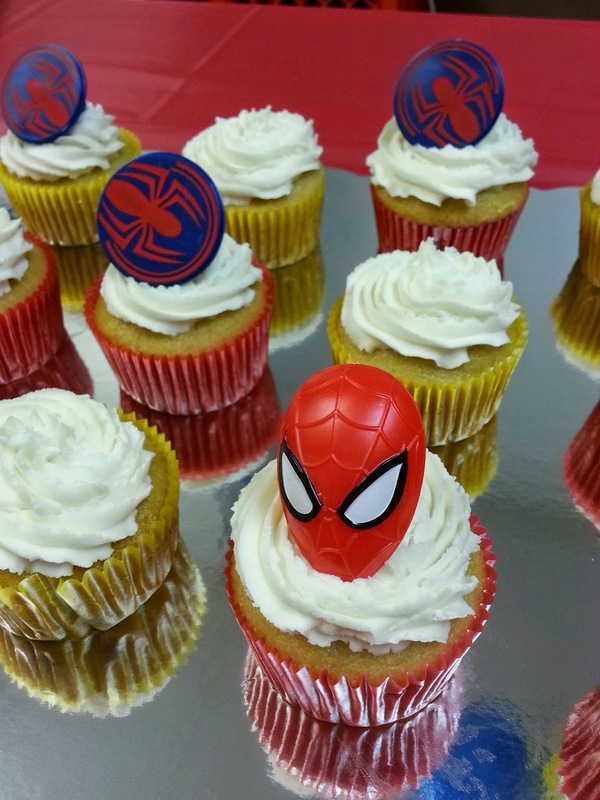 Little guy and the kids loved these Spiderman Cupcake Rings also used as cupcake toppers that we found on Amazon . 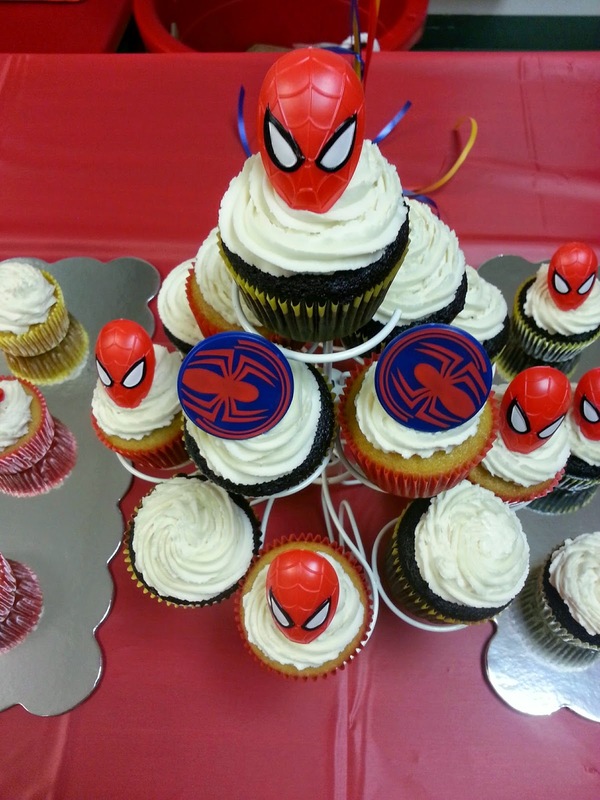 I think everyone had their fill of good food, and loved the sweet cupcake treats at the end of the party. Thankfully, everything was a hit with the kiddos and parents! For our Easter/birthday party with family, I said "YES" to my mother and mother-in-law bringing food because I trust they understand how to make it safe for Little Guy. If you don't have help you can trust, or just like to control all the food (hey - I get it! It's nerve wracking to have others cook for your child with food allergies), then ask for help with other things like drinks, plates, napkins, or even cleaning before or after the event! How about get someone else to stuff the party goody bags? Kids love to do stuff like this (thanks to my Hubs for helping with these!). 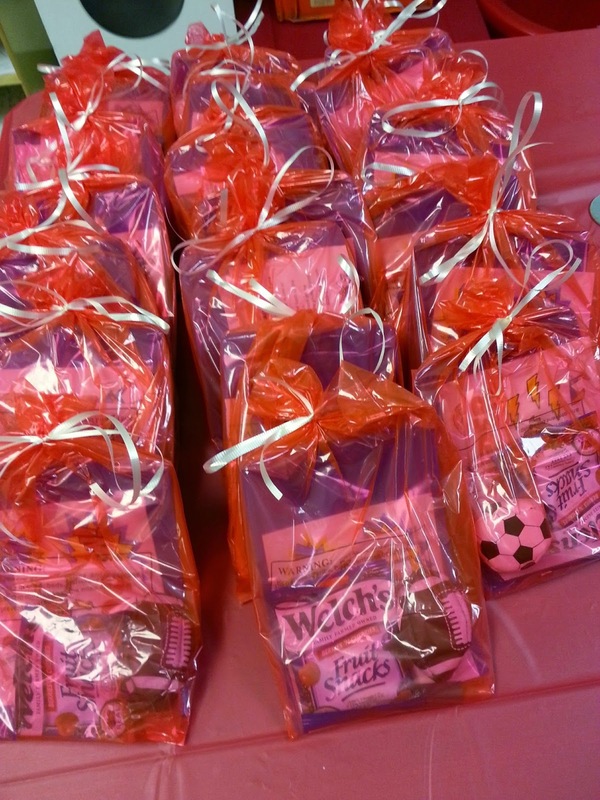 Gift bags included: superhero themed picture frame, sports ball and fruit snacks! Whatever you do, don't try to be a Supermom. Accept help in any way you can. 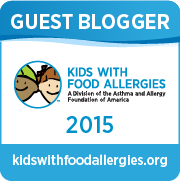 What are your tips for hosting food allergy friendly birthdays? How have you handled them so far? Everything looks fantastic Kathryn! Great job! 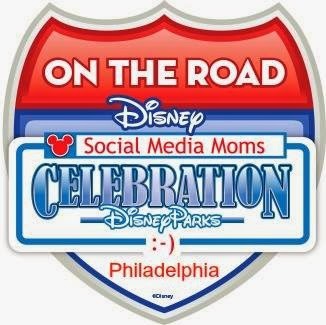 Very fun ideas and I like your reminder about scheduling the party during non-food times! I'm also a huge fan of the plastic rings!!!! But, I think I like the rings so I can wear them. Thanks Caroline! Ha ha, yes the kids just loved those rings!